Often when Jane was alone at night during her childhood, she would hear a dry voice call to her from the dark corners of her room. Sometimes, it was barely a whisper. Sometimes it was a low growl like a dog about to attack. And sometimes it would say her name. That disembodied voice in the night haunted Jane throughout her life. It wasn’t always there. Sometimes it would be silent for months on end, but it always seemed to return in times of high anxiety, beckoning to her from the darkness. Jane had told me about this phenomenon months ago. Long before I had met the “black thing from the dreams” or had been visited by the “kitchen crashing ghoul”. I heard that voice for myself the day after New Year’s, 2018. On January second, Jane and I had gone out bowling. I had just returned to town from spending the holidays with my family and was looking forward to a night out after driving most of the day. It was bitter cold and dark by the time we arrived at the bowling alley. We had lots of fun eating terrible bowling alley food and landing our shots in the gutter nine times out of ten. The pitcher of beer that we downed definitely did not improve our game. It was well after midnight when we finally made the icy journey back to my apartment. Our bowling alley of choice was one of the last in Indiana to still allow smoking. I decided to take a shower upon arriving home to wash off the smoke smell. Jane was lounging on my bed watching TV when I went into the bathroom. I was only in the shower maybe fifteen minutes. An absolutely horrific sight awaited me when I re-entered my room. Jane was lying flat on her back still on my bed. Her entire body was convulsing and her eyes (although they were open) were rolled back in her head. I thought (hoped) she was simply having an anxiety attack. But I pretty much knew this was not the case. I dashed over to her, sat down, and lifted her head into my lap. Me: “Hey calm down, I’ve got you, you’re safe” I said hoping to steady her. Jane’s eyes rolled back down, and she glared at me through foggy pupils. She then began desperately clutching at her throat like something was choking her. She began to gasp violently for air. And that’s when things once again escalated to horror movie levels. I had asked Jane a question, but Jane was no longer there. 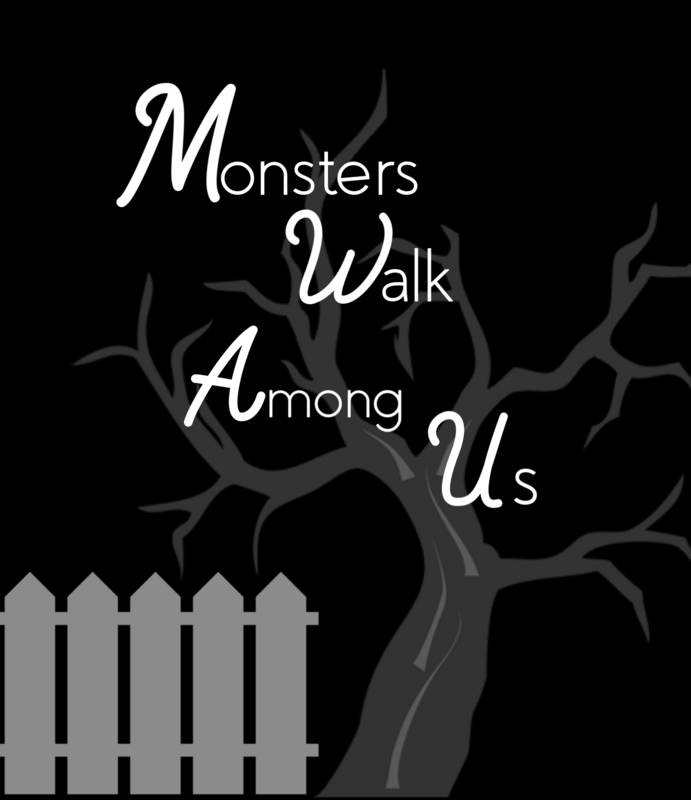 The voice of the very same monster that had haunted Jane in her childhood bedroom all those years ago, spoke out loud. Although Jane’s lips did move to form the words, the voice was completely inhuman. It was the voice of a demon. The best description that I can give you (as to what the voice sounded like) would be if you mixed the gritty voice of Batman from the Dark Knight movies with the sliminess of Gollum from Lord of the Rings. It was also very loud. Not screaming loud, but louder than you and I would speak to one another if we were in the same room. I may have jumped just a little upon hearing a beast speak through Jane’s mouth. Back in September, right after the first incident, I had read up a good deal on people who had experiences with demons and how they resolved them. One reoccurring theme in most of these tales involved the people witnessing the attack trying to get the name of the evil spirit. Then they would command the entity to leave in the name of Jesus Christ. At this point, only a fool (which I about was) would deny that there was an evil spirit present and that it was physically attacking Jane. Last I checked, there is no mental illness (or any illness at all) that causes you to speak clearly in a booming evil voice while you are choking and having a seizure at the same time. The Voice: “I got her!” Then it began to laugh hideously. Its laughter was a mixture of Jane’s voice and its own. The voice just continued to laugh hysterically. The Voice: “Jane!” And then it began to laugh again. The voice didn’t appreciate that. Jane’s body (which if you’ll recall I was cradling by the head) suddenly turned on me. She began to thrash and claw violently trying to escape my grasp. I was, after a brief struggle, able to pin her to the bed. I have (and I’m sure you have as well) heard stories of demonized individuals exhibiting increased strength like some kind of superhero. Fortunately for me, this was not the case with Jane. The sinister “black thing from the dreams” was only wrestling me with the strength of a young woman in her early 20s. Upon pinning her to the bed, I got a good look at her face for the first time in this whole ordeal. I don’t know how to describe what someone’s face looks like when they are completely demonized except by saying that their face looks “all wrong”. Just picture one of your friends in your mind for a moment. You know this person, you know their smile, their sassy face, their sad face, their irritated face, their excited face, their happy face, and so on. You know their personality. You know their expressions. Jane’s face looked nothing like her. Nothing. Her eyes gleamed evilly up at me and across her face was the same demented smile that the horrors in her dreams wore. She then threw her head back and laughed (still in the voice). Then, as suddenly as it had appeared, the Monster vanished into the night. Jane’s face shifted back into the face of a terrified young lady. “Water, shower, now!” she screamed. I picked Jane up, carried her down the hallway, and placed her into the bathtub. I turned the water on and as it hit her body, she began to hiss as if it was causing her pain. After a few seemingly uncomfortable moments, Jane began to feel around the tub as if the lights were turned out. This strange (and obviously supernatural) blindness only lasted for a few minutes, and then slowly Jane’s vision returned. After things had settled down and Jane was safely asleep on the couch, I knew I had to stop making excuses and take action. Enough was enough.